Qu. (from M.R. KTE Karlsruhe): We encountered a problem while reproducing the decay chain of Pu-244. The first decay is an α-decay to U-240 followed by a β-decay to Np-240. The question is if U-240 decays to the metastable or directly to the ground state of Np-240. In the universal nuclide chart application in Nucleonica it shows a difference between the JEFF (Np-240) and ENDF (Np-240m) databases. 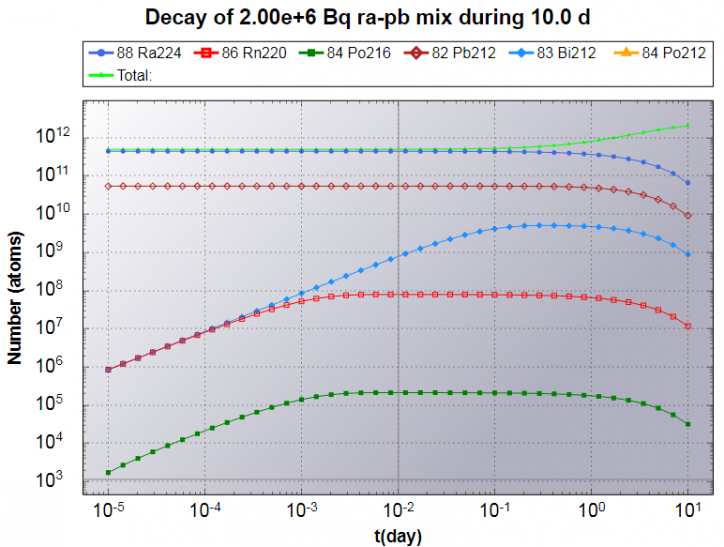 When using the Decay Engine++ application only the Np240 ground state is shown. The (more like a juristical) problem is that our regulations only include the metastable state. Do you have additional information about the decay of U-240? Which one is the physical correct daughter? Ans. 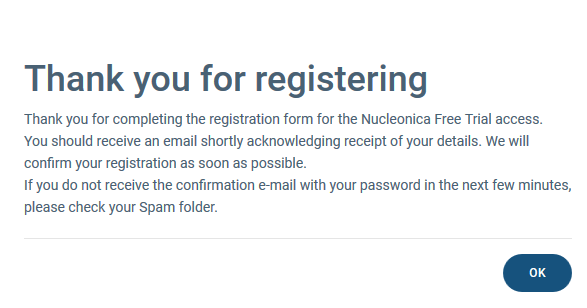 (Nucleonica Team): Indeed there is an error in the JEFF3.1 database. You can also see this clearly in the KNCO application where you see that U-240 decays to Np-240m only. In view of this, we have changed the data in JEFF3.1 for U-240 – allowing only the decay to Np-240m. This you can see in the Nuclide Datasheets. If you now redo the decay calculation for Pu-244, you will see the Np240m is much more important than Np240. Thanks again for pointing this out and hopefully it did not cause to much inconvenience. It just shows once again how important it is to have a number of databases for comparison purposes. From 2017, Forum and FAQ posts will be hosted together in a new Blog category FAQs. Pre-2017 Forum and FAQ posts have been moved to Wiki page FAQs. Ans. If you do not receive the confirmation e-mail with your username and password directly following registration, please check your Spam folder (see image below). Difference between the D&S H+(10) and D&S++ for dose calculations? Qu. I have difficulties to understand the differences between D&S++ and D&S H*(10). I read the wiki, but still find myself wondering what causes the difference in calculation. 1. Short-lived daughters are included automatically in H*(10) version but not the ++ version. 2. Buildup calculations are now more accurate in H*(10) than in the ++. 3. 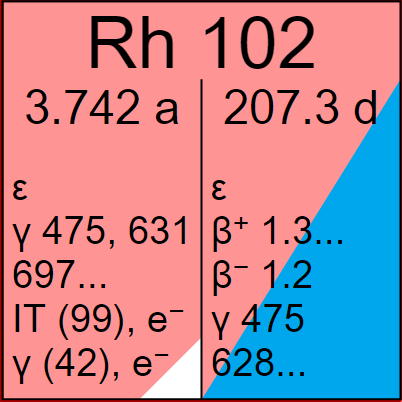 Internationally standardised H*(10) is calculated rather than the Htis in the ++ version. The difference between H*(10) and Htis is that Htis just calculates the dose absorbed in a thin layer near the surface. 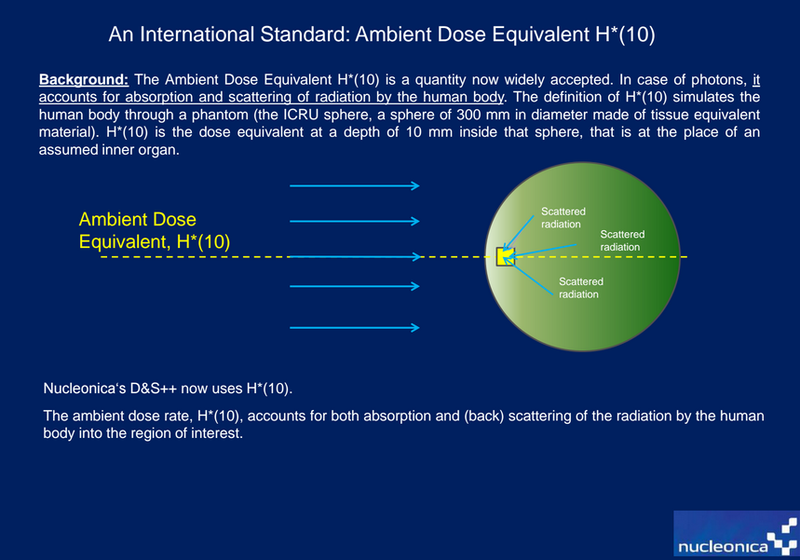 In the H*(10) the dose is calculated at a distance of 10 mm inside the surface and also takes account of backscattering from behind the point in question. i.e. H*(10) makes two additional calculations (1) the attenuation over a distance 10mm is calculated and (2) backscattering from deeper tissue to the surface. See image below. Qu. :It’s still confusing for me. What I am not understanding: what is the difference in the calculation, between what was done before, and what is done now. Is it just a coefficient which change in the formula? Which one? Or the whole principle which change? The definition of H*(10) and Htis is understood, but not the way it is computed, I think this is the main problem. Ans. :It is not just a change in a coefficient. Its really a different principle. To calculate H*(10), one first calculates the kerma rate at the surface Kair. The kerma is similar to the exposure or the dose rate in air at the surface (approximately!). Knowing the kerma rate at the surface one then calculates H*(10) inside the body using H*(10) = Kair * (H*(10)/Kair). The quantity in brackets in a function of energy and has to be calculated for every gamma energy by Monte Carlo. This function evaluated using Monte Carlo and is shown here.. This section gives a detailed description of how H*(10) is calculated in Nucleonica. Its all a bit mathematical but at the end of the day, it gives values which are about 10-20% higher than those calculated using D&S++ (i.e. Htis). Qu. You state that H*(10) should give results 10-20% higher – can you expand? Ans. : Consider Co-60: H*(10) = 0.3539 µSv/h using D&S H*(10) no shielding. Htis = 0.337 µSv/h using D&S++ no shielding. So for Co-60 the H*(10) values is about 5% higher than the Htis value. The reason why the H*(10) is higher than Htis is due to scattering of radiation from deeper inside the bode back to the surface. This is neglected in the calculation for Htis. We have introduced this H*(10) on the request of some users. For official declarations, only the H*(10) is acceptable and not the Htis as calculated in D&S++.